If you love to cook, then you know the value of fresh herbs. Modern transportation and preservation methods make all sorts of produce, including herbs, easily accessible from most of our groceries. But if you want them even fresher, more convenient, and cheaper, consider growing a culinary herb garden. You’ll have fresh herbs at the ready at any time of day, as well as plenty to share with neighbors and friends. When planning what herbs to plant, think first about the dishes and styles of food you make. What herbs do you most often use? Oregano, basil, parsley, thyme, rosemary, dill and chive are some of the most popular. If you make fresh salsa, you’ll want to grow cilantro. If you cook a lot of Asian cuisine, on the other hand, you might want to try lemongrass if you live in a warm enough climate. Herbs can even be very ornamental in a landscape, besides contributing to your dinner table: Thyme is a common addition to a garden pathway. Location. Herbs do best in full sun. Give them a garden location that gets 8 hours of direct sun a day. You also want convenience, so a spot easily accessible from the kitchen is ideal. 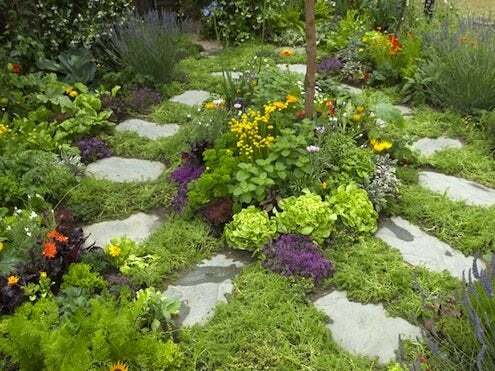 You can plant your herbs together, amongst other vegetables, or even throughout your landscape. Soil. 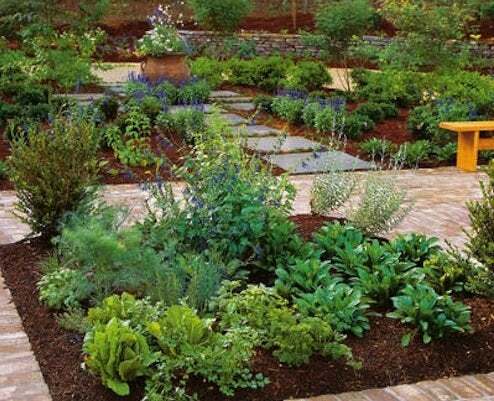 Herbs like fertile, well-drained soil, though many will tolerate less ideal conditions. Enrich your soil with compost or other organic materials, like mulch. Most herbs thrive in neutral to slightly alkaline soil. If you don’t know your soil’s pH, you can pick up a kit inexpensively from a home improvement or hardware store. Then you can amend it with something like lime or wood ash (for more alkalinity) or peat moss (for more acidity). Watering. Make sure your herbs remain well watered, but not saturated– you don’t want them to drown. Some herbs like rosemary prefer drier soil, where others like mint, need more moisture. (**A note about mint** It’s very invasive, and can quickly overtake a garden, so it’s best to plant it in a container.) Consider grouping herbs together by their watering preferences to make things a bit easier. Many diseases thrive on dampness, so water herbs close to the ground to keep their leaves dry. Soaker hoses, which allow water to slowly permeate through them to the ground, are wonderful for this task. Pruning. As with other plants, pruning stimulates growth in herbs, so feel free to harvest regularly even if you don’t need it for your cooking. It will benefit your plants long-term. Herbaceous herbs, like chive, oregano and mint, will die over winter, but return the following season. You can cut them to the ground then, but feel free to harvest up to 1/3 of the plant at a time during the growing season. Annuals, like basil, dill and cilantro will seed themselves for the following year. Once an herb starts to flower, however, it stops sending energy to its leaves. Try to prevent flowering as best you can by pinching off buds as you see them come on. 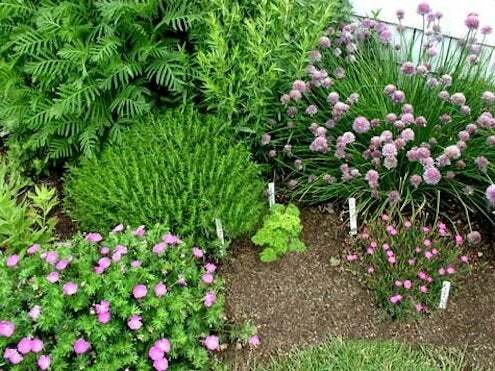 You can also plant these herbs in succession, every 4 weeks or so, to ensure a constant supply. Evergreen herbs, like rosemary, sage and thyme, will get woody as their stems mature, and will stop producing growth. Prune out the tall, woody branches to let light and air get in to the more tender shoots. When you cut any branch or stem, prune back to an area that is showing new growth. 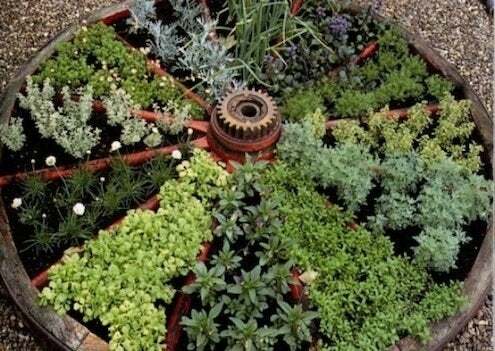 Growing herbs is practically a piece of cake; it’s a wonderful way for inexperienced gardeners to begin. Most herb starters are relatively inexpensive, so planting as an experiment is low-risk and tons of fun. And best of all, herbs grow incredibly fast! Before you know it, you’ll have a bounty that’s the envy of all the cooks in the neighborhood.